Over the last few years, we’ve seen more sovereign downgrades than upgrades. This reflects rating agencies’ belated reaction to weaker growth, softer commodity prices and the deterioration in fiscal finances that occurred during the 2013-2015 period. Despite this, the credit fundamentals of EM sovereigns have arguably improved quite materially due to recovering economic growth, rising oil prices, greater fiscal consolidation and fading external vulnerabilities. The strong rise in EM capital markets from 2016 reflects this improvement, and we believe rating agencies will naturally start to respond by lifting aggregate ratings across emerging markets (EMs) in 2018 and beyond. 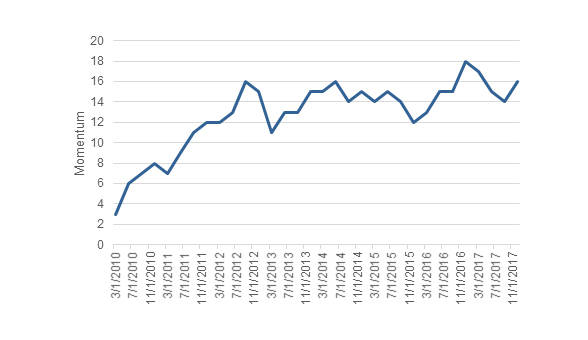 As Chart 1 demonstrates, the deterioration in EM credit ratings over the last few years has been a story almost entirely of oil. 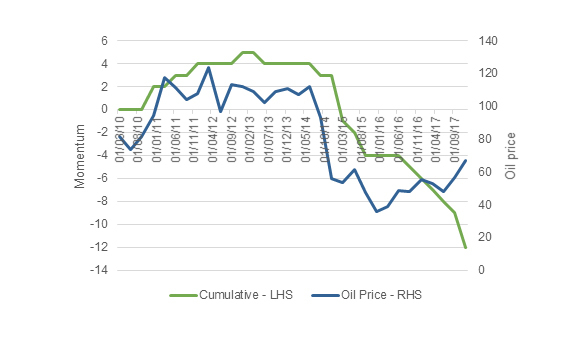 Net oil exporters experienced consistent downgrades as fiscal deficits and external imbalances ballooned on the back of the collapse in oil revenues. 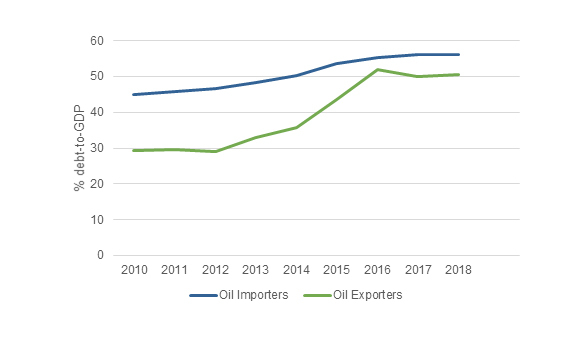 By contrast, oil importing EM countries saw little deterioration in credit quality over the last few years (Chart 2). Fiscal balances on the whole are recovering. This reflects both spending discipline, but also greater revenue generation. Meanwhile, net oil importers have made some progress in abolishing or reducing unsustainable fuel subsidies. In many markets, governments are taking steps to strengthen institutions, investing in social capital and making their economies more competitive. This should help sustain the recent increase in trend growth. Taken together, expanding economies and fiscal consolidation should stabilise debt-to-GDP ratios at low levels (chart 3). Despite net oil exporters increasing debt levels during 2014-2016, they should also experience some debt stabilisation at very healthy levels (especially if we compare to G7 debt-to-GDP levels of over 100%). Lastly, external vulnerabilities have become much less pronounced, with current account deficits narrowing, foreign direct investment flows accelerating and FX reserves rebuilding to sustainable levels. The recovery in credit dynamics will likely continue to help support EM dollar bond spread compression and act as a further tailwind for the entire EMD asset class through 2018. Of course exceptions exist for countries that fail to properly reform and rebalance their fiscal budgets, but they are in the minority and such dispersion creates a healthy alpha generating environment for us as active EMD investors. Past performance is not a reliable indicator of future results and all investments carry the risk of capital loss. Previous article Chinese real estate developers: Is bigger really better?